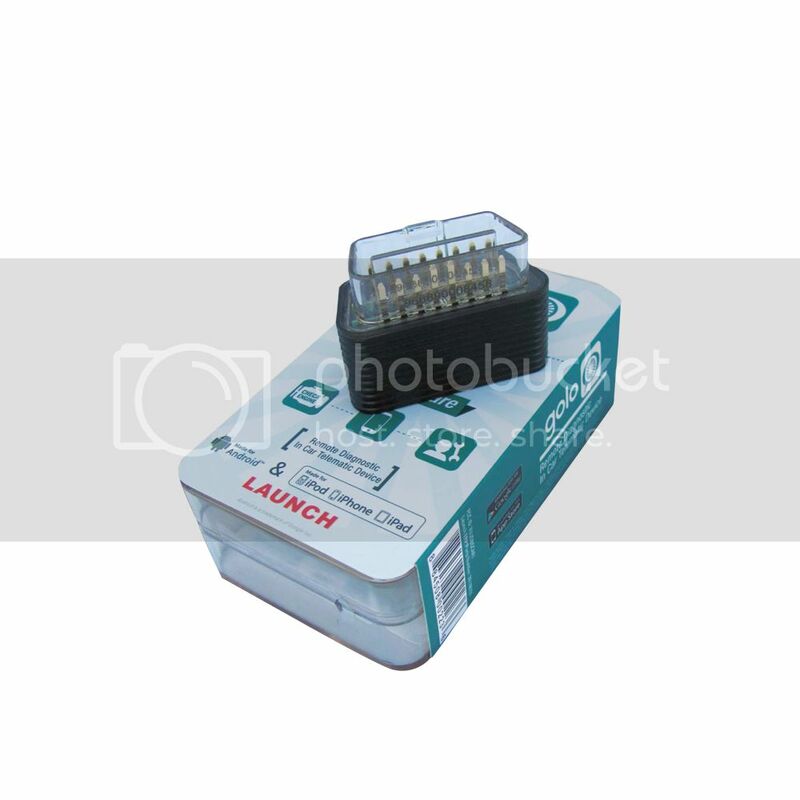 1.GOLO CarCare is a Telematics device for OBDII complaint vehicles 96 and newer. Platforms. Technicians can read & clear codes and review live data from thousands of miles away. With voice and text communications between you and your Customer, they will never be left stranded on the side of the road. 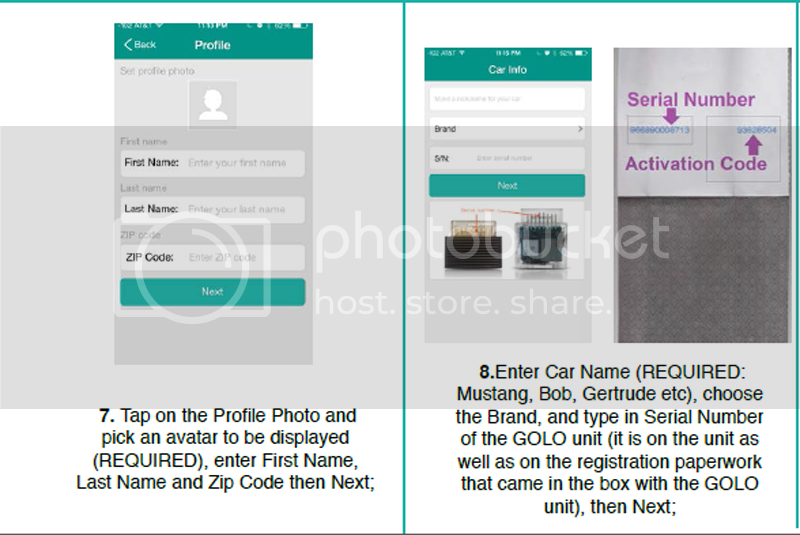 3.GOLO CarCare can change OBD Diagnostics for both your repair shop and your customer experience, connecting them all together. Best of all there is no extra data plan needed with GOLO. LAUNCH’S MOST AWARD WINNING TOOL EVER! 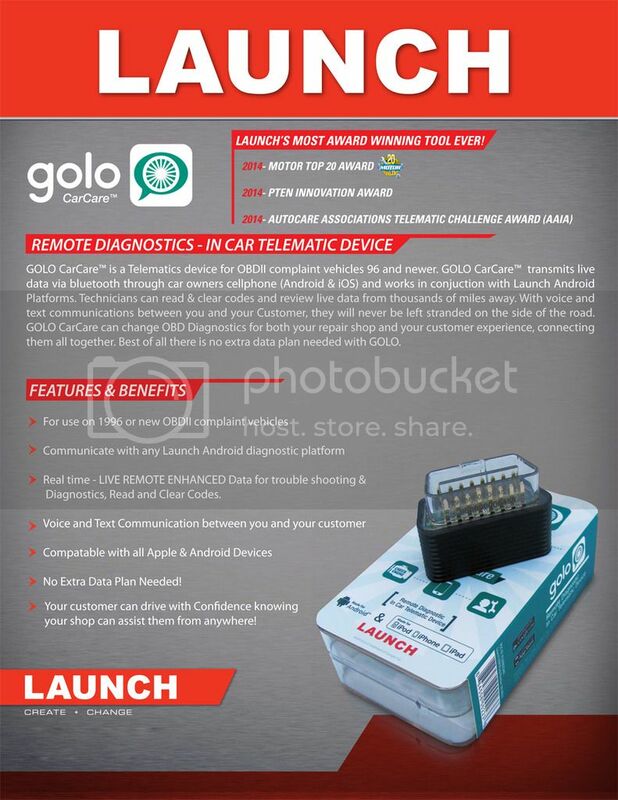 GOLO CarCare is a Telematics device for OBDII complaint vehicles 96 and newer. 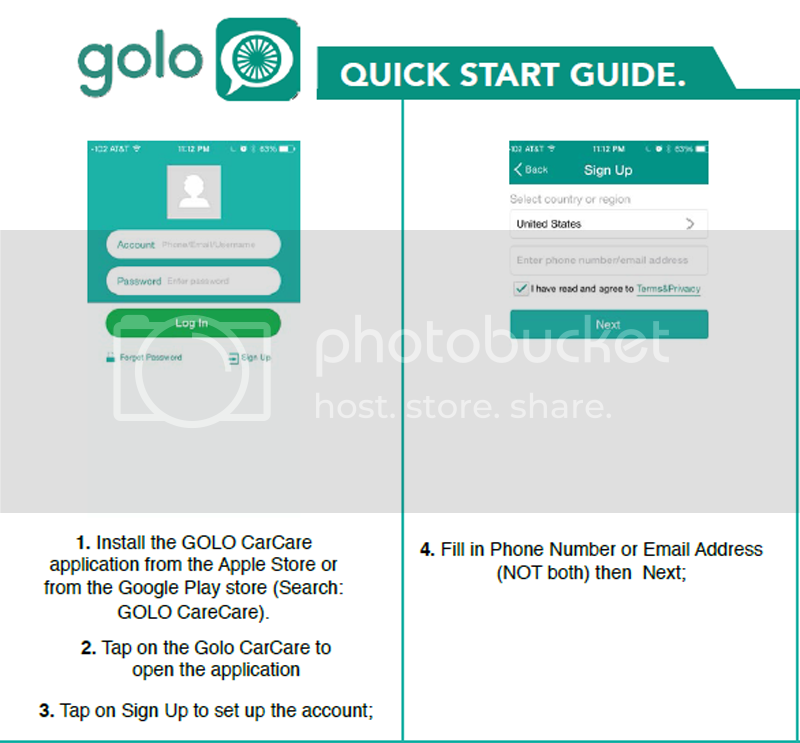 GOLO CarCare transmits live data via bluetooth through car owners cellphone (Android & iOS) and works in conjuction with Launch Android Platforms. Technicians can read & clear codes and review live data from thousands of miles away. 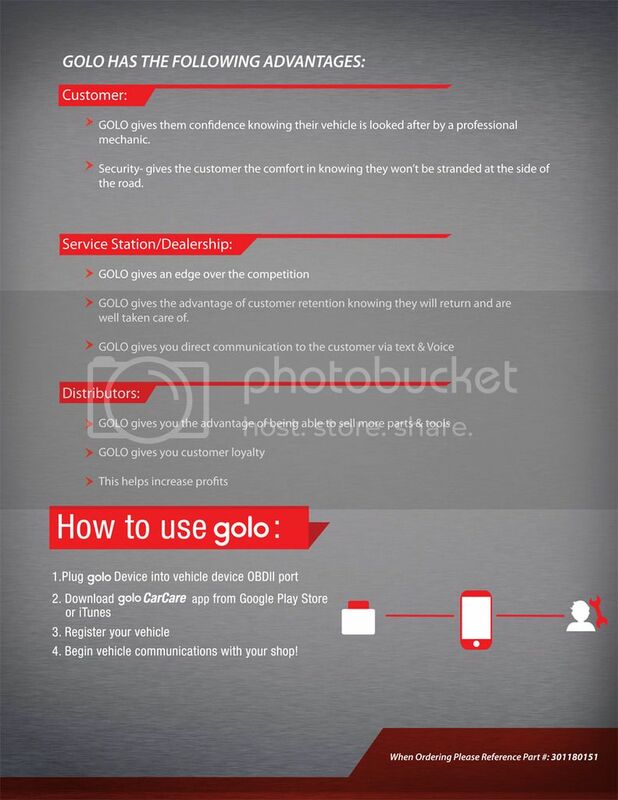 With voice and text communications between you and your Customer, they will never be left stranded on the side of the road.GOLO CarCare can change OBD Diagnostics for both your repair shop and your customer experience, connecting them all together. Best of all there is no extra data plan needed with GOLO. 4.Diagnostics, Read and Clear Codes. 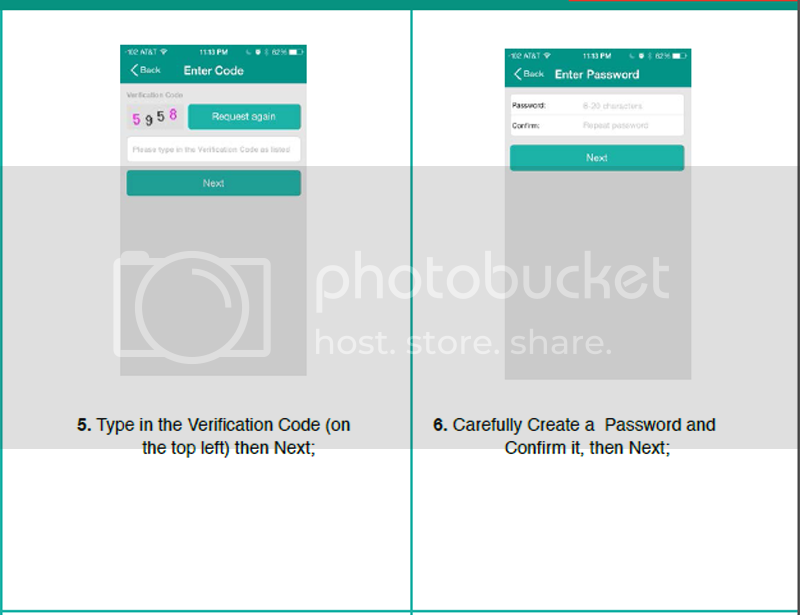 7.No Extra Data Plan Needed! 8.Your customer can drive with Confidence knowing your shop can assist them from anywhere! (1).GOLO gives them confidence knowing their vehicle is looked after by a professional mechanic. (2).Security- gives the customer the comfort in knowing they won’t be stranded at the side of the road. (2).GOLO gives the advantage of customer retention knowing they will return and are well taken care of. 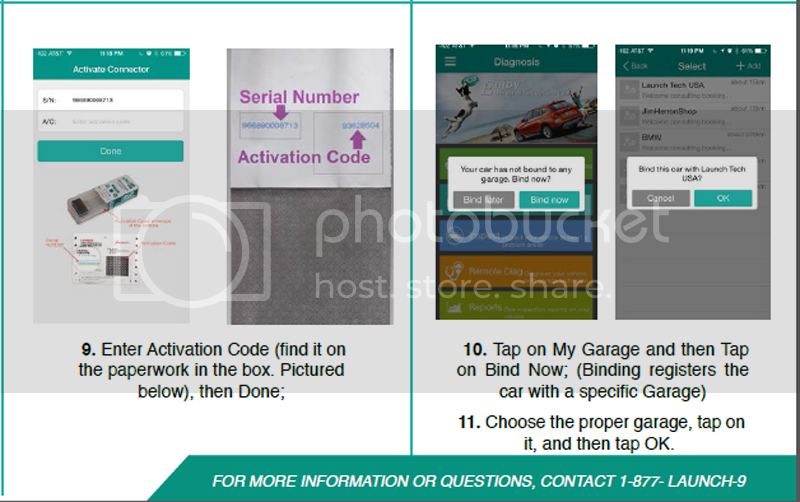 4.Begin vehicle communications with your shop!